Fountain Valley is by far one of the most beautiful cities in California. If you live in this city, then hire your next limousine rental or party bus in Fountain Valley from ULC Limos. For those who are unaware of us, we are the most demanded and sought after limousine rental service in Fountain Valley and the entire Southern California. Our Fountain Valley limos and party buses are the best on the market and we are very proud of our fleet of vehicles. With ULC Limos, you will never have to worry about the condition and cleanliness of your limo rental in Fountain Valley. We keep our limousines in Fountain Valley in the best overall condition, with the emphasis on safety. Another reason behind our success as the best limo rental in Fountain Valley is the fact that we treat our clients with utmost respect and care. 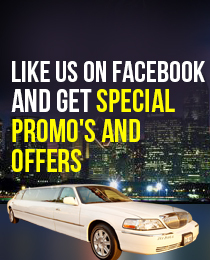 We pay full attention to the specific occasion for your use of our limousine or party bus. Our trained, educated, certified and professional drivers are sensitive to giving complete respect for your privacy, while ensuring that they understand the importance of the occasion to you. Which Fountain valley Limo is Right For You?